August 6, 2018 0 comments on "Maintaining Vision"
500,000 visitors, wow. It’s been a journey. Thank you! When it comes to building a business or starting a venture, what is vision? What does it mean to maintain vision? Is vision important? How does one grow their business in a changing landscape, with wavering demands, all while maintaining their vision? These are among the questions I’ve been asking myself the past couple months. I enjoy learning from others and I believe it’s a privilege to live in an age where so much information is given freely. So when I have a question I find myself digging into the archives of Youtube, listening to podcasts and audio books, and turning the pages of well read classics. But when it comes to these questions on vision, I’m finding, or not finding, any concentrated material on the subject. If you follow the excellent advice of Steve Blank or the Lean Startup, or other go-to-market tools, one may begin to question the need. For example, a truly customer lead company pitches ideas to the market, gathers feedback and insight, and makes adjustments accordingly. With enough feedback you will have a product with high demand and a model to grow your business. No vision required. But what happens when competition shows up or you have a major setback? Do you continue with your current strategy, do you pivot and reapply the lean startup process, or do you throw in the towel? Visit any major city in the US and you will see a Starbucks on every corner. Coffee shops is a competitive market, but it took over 3 decades for Starbucks to saturate their market in the US. Starbucks opened their first store in 1982. And coffee houses have existed since the arrival of coffee in Europe, the Middle East and North America – with the first shop opening up in Damascus in 1530. In Bob Dylan’s famous words, “Times they are a changing,” and it seems they are changing at a faster rate than ever before. Any outsider will likely recognize that startups are the new gold rush. With tens of thousands starting every week and only a few striking it big. You may have a bold new idea, raise capital, launch to market and find yourself in hyper competitive marketplace within just 6 to 12 months. The problem with emerging markets is that while they may be growing, the competition is there too. So I ask you, what’s the difference between a growing startup and the graveyard of belly-ups? Sure some businesses have promise but run out of money, others die from “board-em”, or get distracted by new ideas and jump ship. Yet, I believe only one thing separates a thriving startup from the rest. It’s called vision. Steve Jobs once said, “You have to have a lot of passion for what you are doing because it is so hard… if you don’t, any rational person would give up.” But where does passion comes from? I was sitting across the table from a friend at a local cafe. The cafe has a really neat vibe, with bikes hanging on the wall donated by loyal customers. My friend is sharing his concern about his kids. They will be graduating soon and he wants them to take their school more seriously so they get into the right colleges. He had more passion about his children’s education than they did. Why? Because he had a clear vision of where they could end up. He saw them graduating from a well respected university, getting a job at a reputable company, and starting off life with a promising career. As a result he was more invested then they were. Now there is a famous psychologist who would argue that he has made a common mistake, and taken on his children’s problem of their future as his problem. As a result they don’t need to take it seriously, why would they? Their dad has taken it seriously enough. I digress. He has a vision for his children, and as a result he has a natural passion to see it fulfilled. When a founder loses passion, they likely lost their vision and their sense of purpose. Possibly, they never had a sense of purpose. Instead we often set a target such as money, or accomplishments, or prestige as our purpose. But they don’t last. Instead having a motivation beyond any reward does. Just yesterday I was watching an interview between Richard Branson and David Rubenstein. Richard quietly mentioned, “I never go into a venture with the idea of making a profit. If you can create the best in its field generally you will find that you can pay the bills.” When you look at all great business leaders, they seem to have the ability to ride things out for the long haul. Why? Because despite all the hurdles, set backs and competition that can come their way, they have a vision that’s greater than the discomfort and hardships they may experience along the way. A couple weeks ago I noticed to my surprise that this blog has received over 500,000 views. What makes this amazing is that the odds of getting any traffic hasn’t been in its favour. When I started writing here I didn’t write for anyone else. This may sound strange or selfish or unusual, but really all that I wanted was a place where I could record my thoughts and share some of them along the way. Also, I have interests that don’t create a nice content niche. If you read advice on writing for a blog they say to pick a topic and stick to it. But my vision was different. I wanted a place where I could catalogue learnings on any subject. So I did. This site consists of posts about car maintenance, cycling, computer programming, leadership, startups – you name it. Finally, this site was hacked. So until I could fix it, it was literally banned from all search engines for 2 years. But again, I wasn’t writing for anyone else. So while that was annoying, I recreated the blog and kept writing. 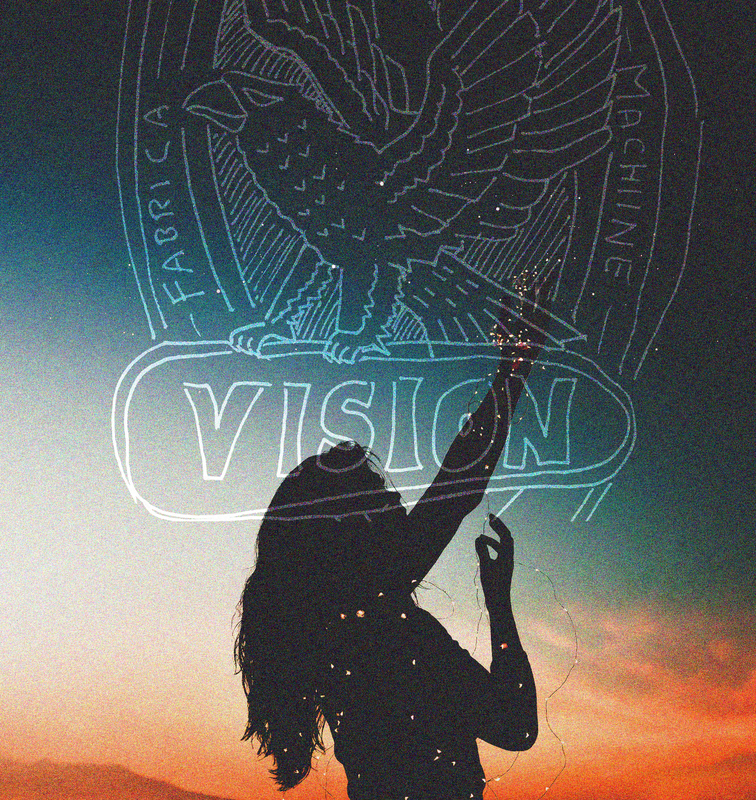 Vision doesn’t need to be grandiose, or even compelling to others. It doesn’t need to fit a market or break the rules. It just needs to be a picture of what you want to see exist. It’s not your mission and it’s not a destination. Instead, vision is simple. When I launched Saint clothing in 2005 my idea was to see if it were possible to create a successful business around your interests. That was my vision. It grew over time to help others who also had a sense of purpose and a desire to do something that was outside the norm. But it was a truly simple idea. If you were to ask Steve Jobs his vision for the world, I doubt he would say, “I want an iPhone in everyone’s pocket.” That’s a mission, not a vision. I doubt it would have anything to do with an iPhone. His vision was likely more simple. To give the creators, the innovators, the outcasts the tools they need to change the world. When a vision is clear the product can change, marketing can change, competition can change but the course never changes.